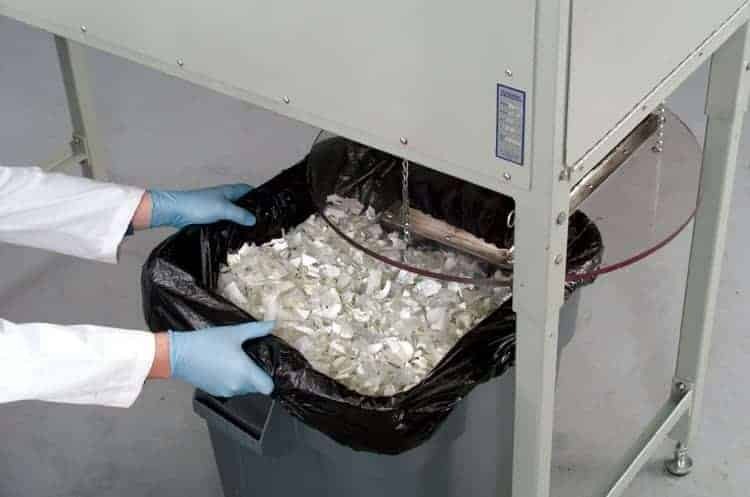 Destroy small vials by crushing and separating the liquid contents reducing the overall cost of product disposal. Separate the liquid automatically as the Vyleater sends plastic or glass vial fragments to one destination while what used to be inside… goes to another. Content recovery is now practical when thousands of vials per day are in need of disposal. 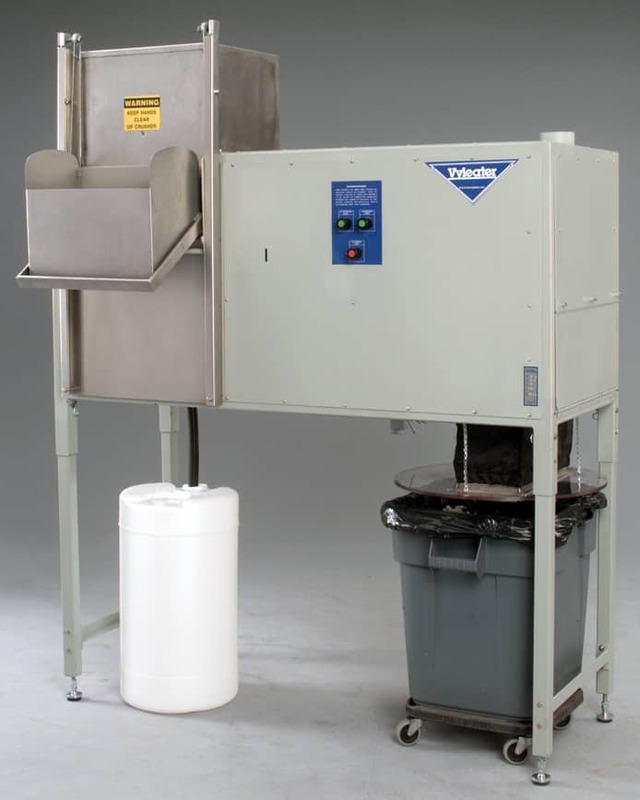 The ability to easily collect liquid for sewer disposal or in bulk containers means reduced disposal costs. Product destruction for cosmetic and pharmaceutical makers means complete control over what happens to the vials. Because Vyleater obliteration is total, nothing finds its way back into circulation. 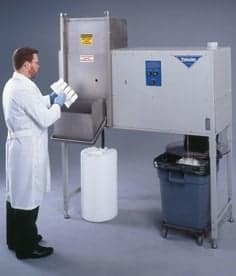 Specimen disposal is easier for laboratories by allowing the Vyleater to not only collect the liquid for disposal but also destroy any identifying marks on the containers. Reduce storage space that is required for long-term storage of the vials prior to disposal. Reduce exposure to hazardous materials by technicians. There is no need to come in direct contact with the vial or the contents. Vapor exposure is eliminated, as technicians no longer have to spend hours hand pouring the liquid out of the vials. Ergonomic concerns are eliminated by reducing repetitive motion due to prying tops off vials by hand. 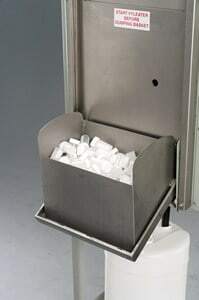 Lower disposal costs by reducing the overall waste volume. Why pay for the disposal of a full, lab-packed drum when the vials are half empty? Some 55-gallon drums may contain only 5-gallons of actual hazardous fluid. Custom machines have been built to resolve the varying needs of diagnostic labs, radiation safety officers, cosmetics, pharmaceutical and process manufactures alike. 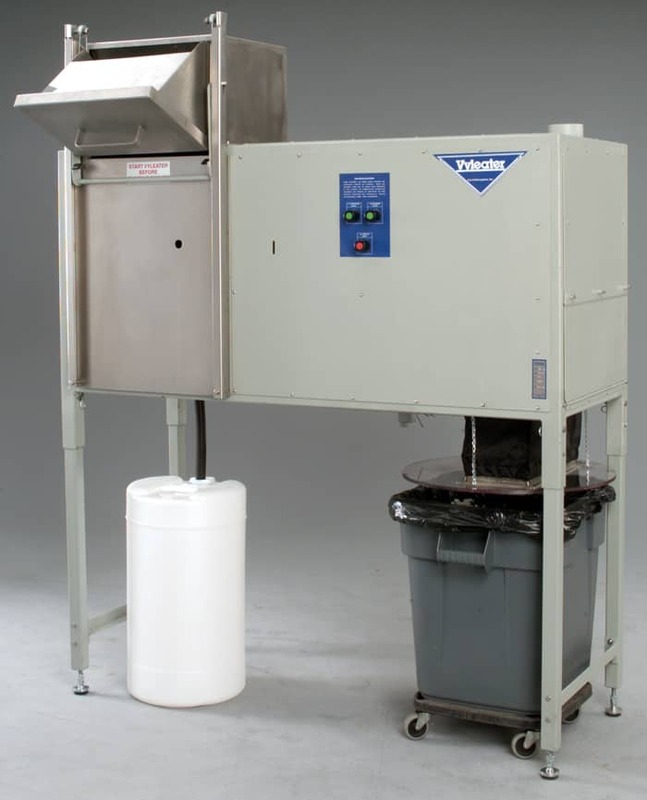 Units can include automatic vial washing options, automatic loading systems and explosion-proof designs.